This dramatically improved collection is an excellent rehearsal and learning tool, allowing musicians to master these songs before playing and singing them in the liturgy. 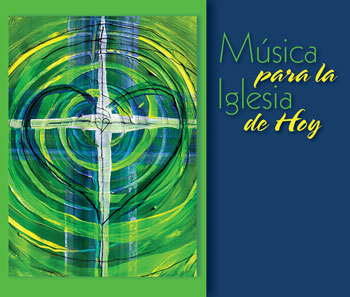 The 20-CD set includes more than 500 songs from Misal del Día, Today's Missal with Spanish Insert and Unidos en Cristo/United in Christ. Hear new music with this one-of-a-kind collection includes new music that has appeared in the missals from recent years, as well as the familiar favorites—all in one collection. Expert musicians, artists and composers deliver unmatched sound quality. Enrich your music program with recordings of all the Spanish and bilingual songs in OCP's Spanish and bilingual missals, Música para la Iglesia de Hoy is the perfect resource for music directors, choir members, organists, pianists and other musicians to learn new music quickly and efficiently. Enjoy convenience and accessibility and find songs quickly with the detailed booklet that lists songs alphabetically by title/composer, disc and track number. The durable hardcover binder is convenient for safe storage and easy accessibility of all 20 discs!